Live the Life you Want <3: About Me. Specifics. Hello Yall. So my Info Area is not working for me. So My first blog is my info, might delete soon. Interest- _Life is definately important. Also Friends. Love. Life. Happiness. About Me- _I'm actually Alicia. I love my friends and family. My friends have been with me through so much. I lose some, I gain. Part of Life. 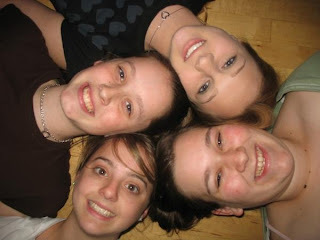 I actually, with inspiration, created this Blog from a great friend, Katie.Epilepsy is strong. This is just an update and helpful I'll try to keep it as exciting as possible for you. Movies- _I'm in LOVE with the movie Mamma Mia! with Meryl Streep. I saw that movie with Sister Boghram. Funny story actually.You see, the opening night was the same night as the Batman Premiere. I really didn't want to go, but I have 2 loving siblings who wanted me too. I ordered pizza from there. That was fun, but not the point sorry. Anyway, it was a singles outing. Sister Boghram is married to one of the couselors. She didn't want to see it either. So I decided to see Mamma Mia! instead. I was singing the ABBA songs to excite me. She asked if I was going to see it instead, ofcourse I said yes. She wanted to join me! It was SO much fun. But yes, I love that movie. I dig the Musicals, Comedies, but definately not action. TOO loud. I only watch scary movies during Halloween season or when I'm with my "Scary Movie Movie Night" posse. Music- _I was really raised around country music which has been a blessing. I absolutely love it! I know most of the songs when I listen to Kat Kountry (Yes, thats how the station speels it).Lately though I have been listening to POP like KHOP 95.1 for some reason. It's actually one of the rare stations I can get in my room. But mainly Country and Pop. I'm Anti-Rap-Metal-Hard Rock. I have to get used to RAP though due to the fact its everywhere. Books- _As any teenage girl, I'm a Twilight reader. Pro-Edward - Equality- Jacob.It was the only book I could relate to. Heather, my sister, had me read it out of force. She related it to me. Long story. Not enough room.So I like Twilight and Murder Mystery Books. only read one but I dug it. Questions/Quotations- _?_Well, I've alway wondered. Why do they have a stain remover. I thought that stains are what you can't remove. So you have fake stains? How so? Hmm. I'll write more when I could think of some more favorites.